Nicci is using Smore newsletters to spread the word online. 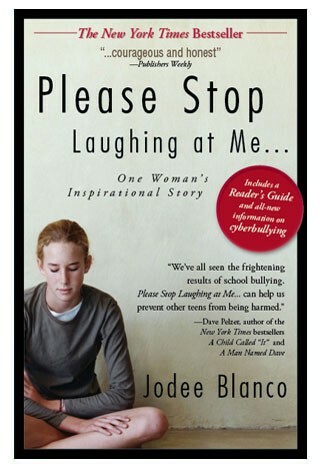 The book Please Stop Laughing At Me is about a girl named Jodee Blanco and her story of how she was bullied and what happend to her.Jodee was bullied from 5th grade all the way to her senior year of highschool,How the bullying started was Jodee volunteered to help with the speacial needs class at Holy Acsension school, and Jodee became very good friends with one of the speacial needs student, marianne. Jodee and Marianne always hung out after school and Jodee's best friend, Jo Ellen told Jodee to stop hanging out with "the retards" or she wouldnt be friends with her anymore. After that incident things started to change. she went to the middle school at Morgan Hills Acadamey and met many new people, for a little while Jodee was in the popular crowd like she's always wanted to be. but things changed. she got invited to a party from a couple of her friends and when she went things happened that she wasnt comfertable with so she ran downstairs and called her mom and told her everything and everyone got in trouble. After that night Jodee was harassed to the extreme for telling her mom what happened at the party. Jodee moved to a different school and she also moved houses and in her new neiborhood she met a lot of new friends. They hung out all summer and told eachother everything but later on in the year things started to happen again Jodee was bullied all because she did what was right and stood up for someone who couldnt do it themselves. This continued for thr rest of her high school days and it really changed Jodee.twenty years later Jodee went to her high school reunion and she was terrified to go because she didnt know if she would still be treated like she was in school or did people change. When she went inside unexpectedly everyone was really nice to her they asked her how her book was and when she would mention about how she was bullied they would just say they dont remember but they knew that what they did was wrong and Jodee was finally free from all the fear and weight on her,she could finally let go. Jodee Blanco was a girl with curly hair and was known as an "outcast" in school. was treated so badly at school and the only time Jodee felt safe and could be able to get away from all bullying is when she went home, all jodee wanted was to be able to fit in and be part of the popular crowd,and she would do anything to be apart of it. "Ipledge not to make the same mistakes again. I swear to myself that i will change-i'll even get into trouble once in a while if thats what it takes to make friends,"(Blanco 7). Jodee's parents alwyas brought joy to her, she knew that she could go to them with anything and they wouldnt judge her for what she tells them, and she knew that they would always be there for her no matter what.Jodee had this one friend named Niko that lived in Santorini, Athens. he was her best friend because he could relate to Jodee because he knew what it was like to be different and not be part of "the popular crowd". The type of conflict Jodee encountered was character v.s society because in the book Jodee was bullied by a lot of kids from 5th grade all the way through high school just for being different and sticking up for people who couldnt really do it themelves. she's even physically abused and no one does anything about it. The resolution in the book is Jodee overcomes her fear and goes to her high school reunion twenty years later to see if anyone has changed and understood that what they did was wrong or will they still treat her the same as they did when she was in high school. When Jodee went inside to her suprise everyone was super nice to her and asked her how she was and what she has been up to for the past twenty years, but when Jodee mentioned how they treated her in high school no one seemed to remember but Jodee just brushes it off and she can finally let go of all pain and fear she has held inside her for the past twenty years. "The bullies never remember,but the outcasts never forget," (Blanco 163). Some of the most powerful/deep parts in the book is when Jodee got to the point where she didnt want to live anymore. After the incident when the football team draged Jodee outside and shoved snow down her throat and almost killed her, her mom picked her up and took her home and Jodee went straight to the kitchen and grabbed a knife and stated cutting her face. My favorite qoute from the book is "The hardest thing about being an outcast isnt the love you don't receive. It's the love you long to give that nobody wants,"(Blanco 139). This is my favorite qoute because it really shows the pain Jodee felt and how she just wanted to be able to fit in with people but no one would let her. They would treat her like she was nothing but really she was a loving and caring person but no one had the audacity to actually get to know her because they knew that if they did that they would get treated just how she does. I would give this book a 5 star rating because this book can show kids what bullying does to a person and how it makes them feel. It shows them that its not okay to do this to a person and that if you have ever been bullied or if they know someone who is being bullied to step up and do something about it instead of just letting it happen. This book also can help parents because it shows the parents what a bully really does to their kid and that the parent shouldnt just think kids will be kids because its way more that just that. Jodee Blanco on HLN. The Blanco Groups, 20 Oct. 2010. Web. 13 May 2016. Jodee Blanco. Digital image. Mtviewmirror.com. Ampg, 14 Oct. 2014. Web. Please stop lauging at me...one womens inspirational story. Digital image.www.jodeeblanco.com. 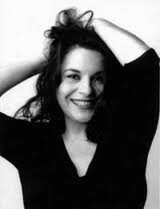 Jodee Blanco, n.d. Web. 13 May 2016. 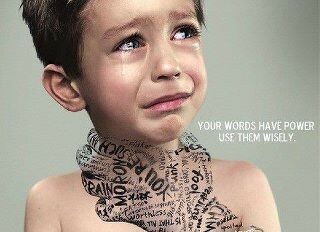 What Parents Can Do When Bullying Is Downplayed at School. Digital image. Www.psychologytoday.com. N.p., n.d. Web. 13 May 2016.